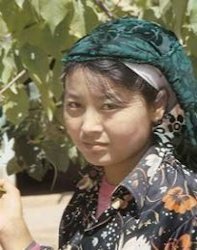 The ancestors of the Salar people were the Samarkand people who migrated from central Asia to China during the Yuan Dynasty (1271 AD-1368 AD). They entered into the eastern Qinghai Province and settled down in the Dunhua area. 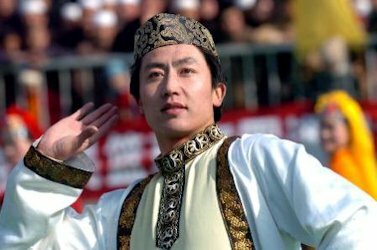 The continuous integration of the Samarkand people with Tibetans, Huis, Hans, and Mongolians finally gave birth to the present Salar ethnic group. The Salar people call themselves "Salar'er". Han people usually call them "Sala", "Salacu", "Salahui", etc. 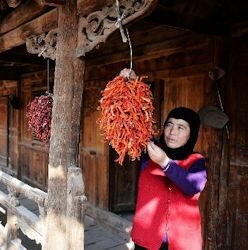 With the founding of the PRC in 1949, following consultation with this ethnic group, the official name of "Salar Ethnic Group" was established. The Salar people have their own language that belongs to the Turkic branch of the Altaic language family. As a result of frequent contact with the Han, Hui and Tibetan people, the language of the Salar contains quite a number of words taken from the Chinese and Tibetan languages. These days most young and middle-aged can speak Chinese. The language of the Salar people has no written form and Han character is widely used in daily life. The Salar are Islamic Turkic speakers living in a semi-desert area, They are herders of sheep and some cattle. Their diet consists largely of steamed buns and a variety of noodles made of highland barley, wheat and buckwheat. They can be found mostly in Qinghai and Gansu Provinces.